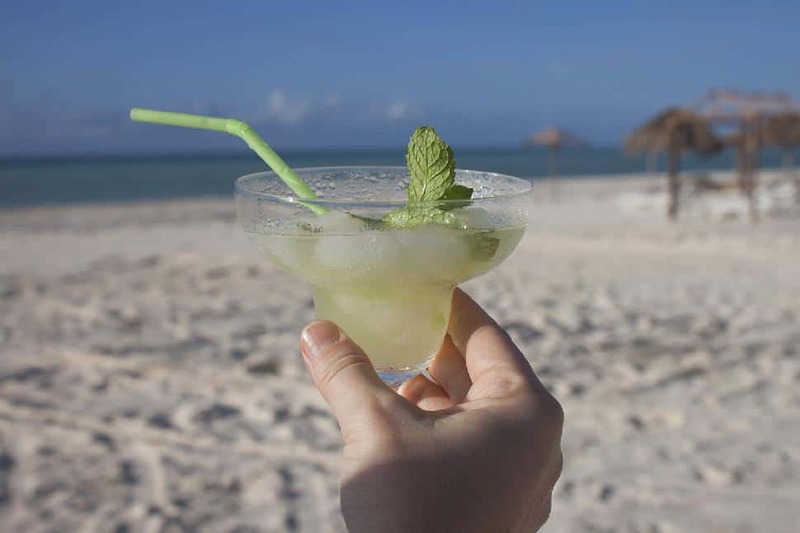 Cuba has long been adored by Canadian travellers as a sun destination with perfect white-sand beaches, lime and blueberry coloured water, warm hospitality and really good rum. 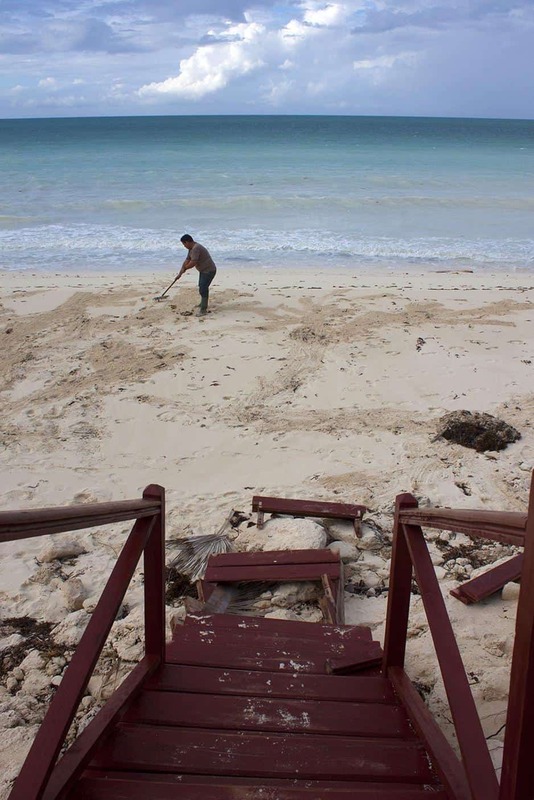 So when Hurricane Irma barreled through the island and left a pile of rubbish in its wake, many of us cringed to see such a gorgeous getaway chewed up and spit out. However, perhaps disaster struck at just the right time. 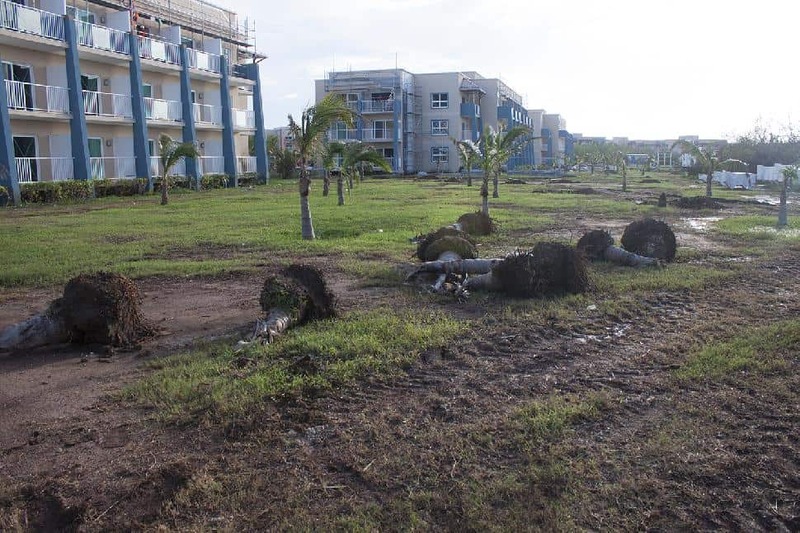 Cuba was in the midst of building new resorts when Irma unleashed her fury—so they had all the workers and supplies needed for repairs. 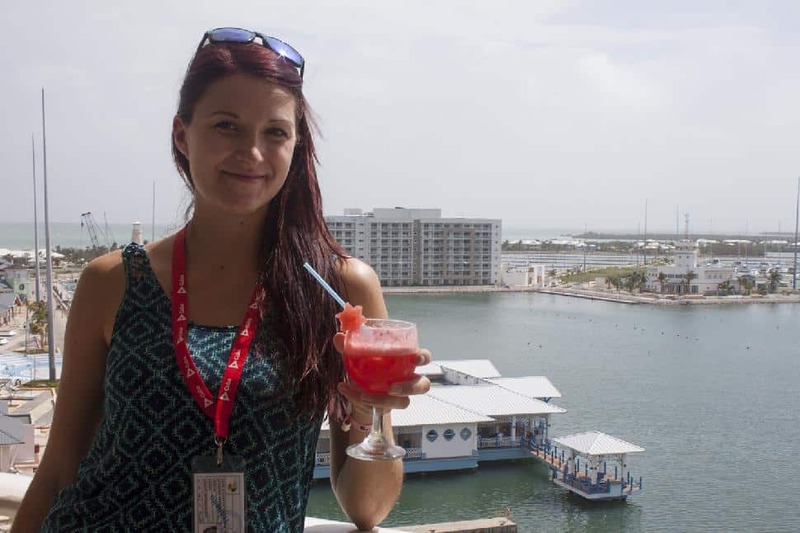 I flew down to Cayo Coco, Santa Maria and Varadero with Air Transat* to assess the damage and determine which locations are ready to welcome Canadian travellers this winter. 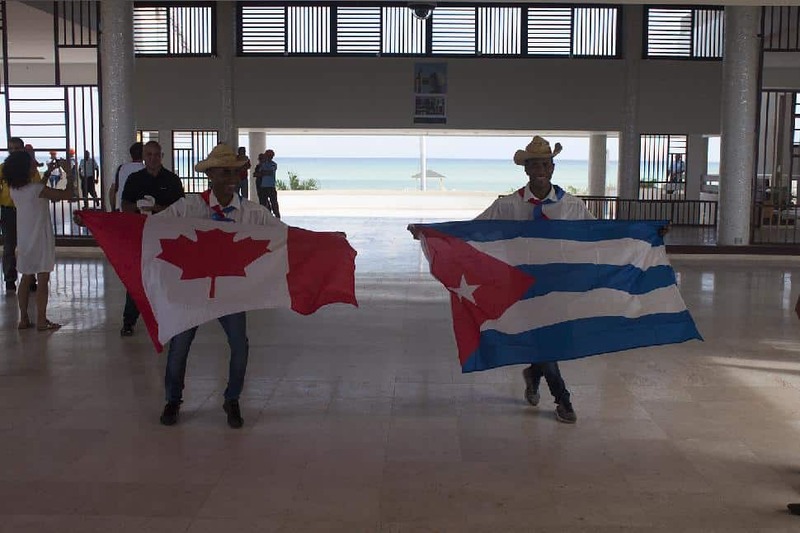 Is Cuba ready for Canadians? 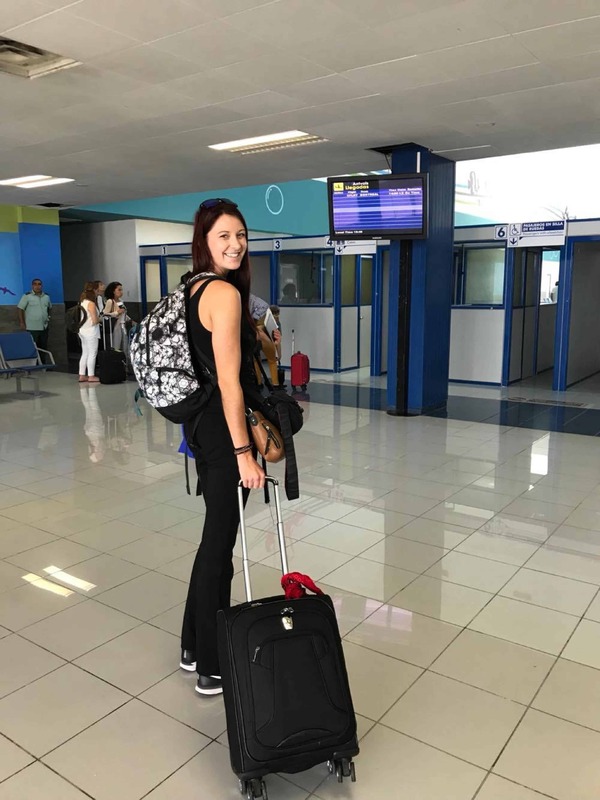 I visited several resorts, restaurants and airports during my four days in Cuba. I was surprised by how little damage was left from the hurricane - if I hadn’t known about the storm, I would simply think major renovations were underway. Below, I’ve retraced my trip to offer details and insights about destinations in Cuba reopening to welcome travellers this November. As we disembark our chartered jet, we are greeted with a rush of warm island air and smiling faces. Tourism professionals, airport staff and construction workers take pictures of our plane—the first this airport has seen since it was demolished by Hurricane Irma over a month prior. In the VIP section, the new walls have been freshly painted lilac and deep purple with pink flamingos, Cayo Coco’s famous bird. We pass through customs in an abandoned, brand-new airport, which is glossy white and ready to welcome its first guests this November. 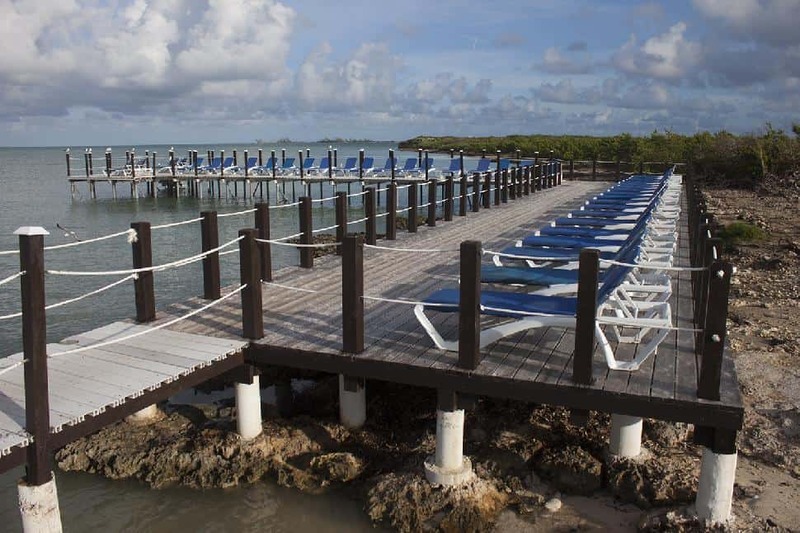 Our hotel visits begin with Sol Cayo Coco. Built in 1997, with 270 rooms, it's a classy place to start. 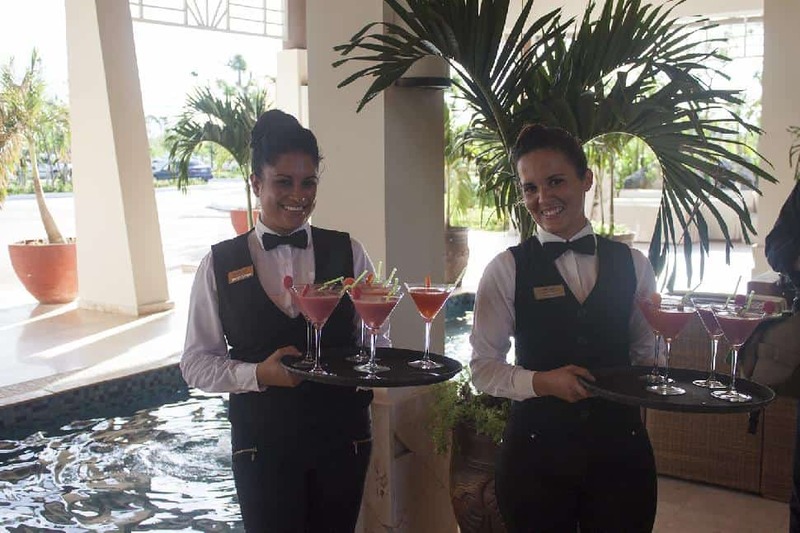 We're welcomed into the lobby by dancers and waiters serving fresh fruit juice. 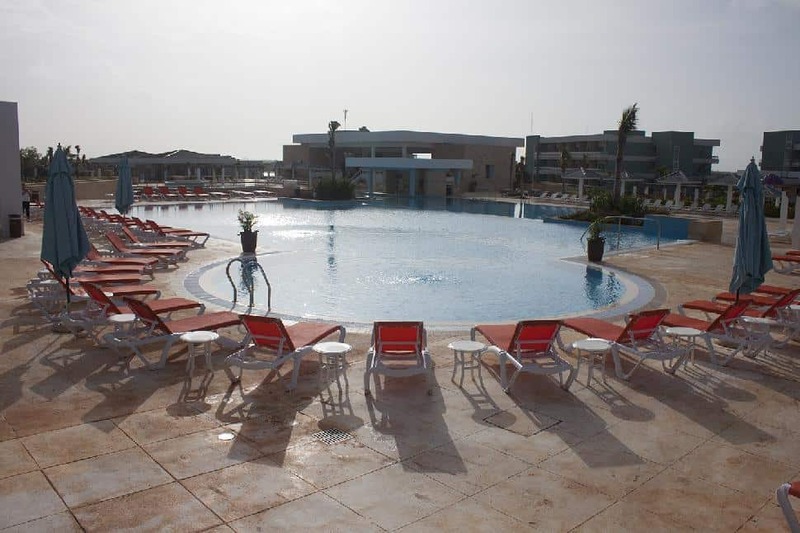 The gardens are the main element still under construction, but the manager expects the hotel to be completely finished November 1st. As we walk down to the beach, I’m flooded with relief. The sand, waves and magical ocean colours are the same as I remember from my visit in 2015. Sweat drips down workers' faces as they fit logs into holes, creating umbrellas that will give their guests shade in the upcoming peak season. With 1,176 rooms, the next resort we visited is the largest Melia worldwide. It’s massive, but sprawling: don’t picture those 13-story high-rise resorts in Varadero. The pink, blue and peach-coloured bungalows are only three floors and masked by bushes and trees. Cuba’s vegetation seems to have the same strength as its people; despite downed palm trees, the greenery is growing back at an accelerated rate. 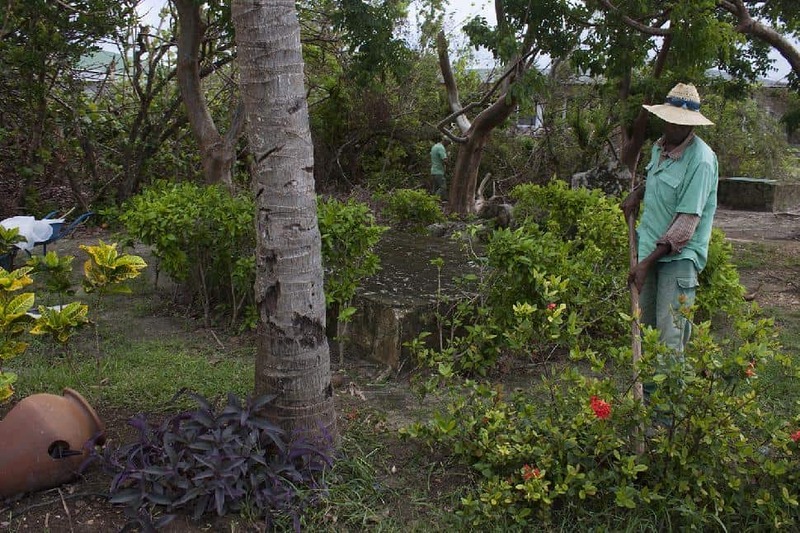 Mucky soil and unfinished gardens are the main signs of hurricane relief efforts. We spend the night on the newer side of Cayo Coco. 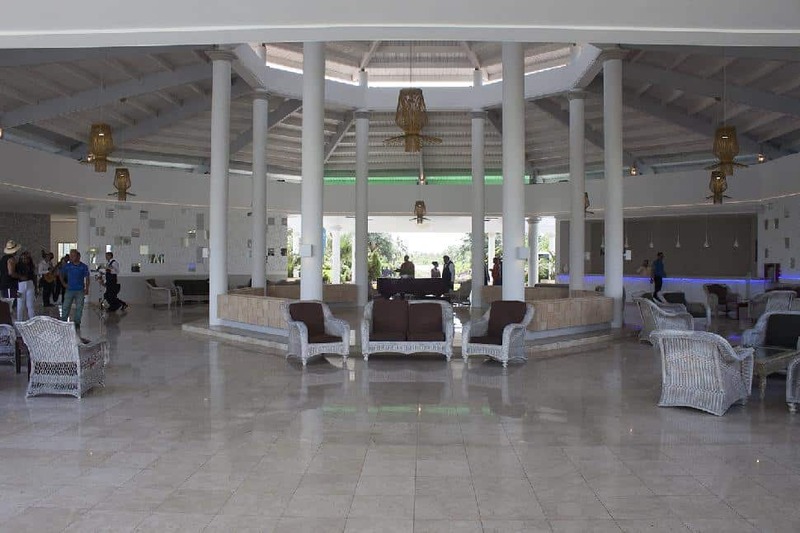 White, classy modern designs frame the lobby and 402 rooms at Iberostar Playa Pilar. It’s weird to be the only guests in the entire resort. After a quick shower—mine didn’t work at first, but the technicians swiftly fixed it—we gather for an immaculate five-course dinner. Spanish chef Pedro Tello and Mexican chef Antonio Basino serve us easily the best food I’ve ever eaten in Cuba, including one of the most perfectly cooked medium-rare steaks I’ve had anywhere. Although there is no direct beach access, sun tanning chairs line the boardwalk. Guests can swim in the ocean from a submerged staircase. 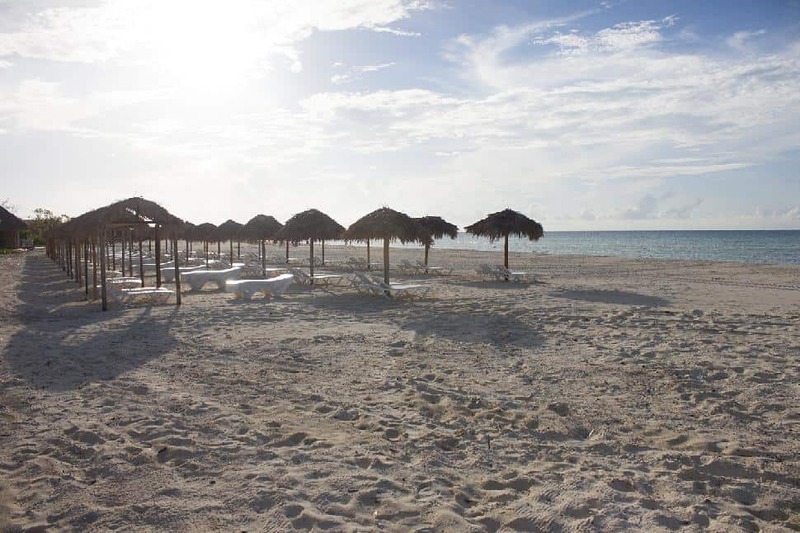 Playa Pilar, renowned as one of the best beaches in Cuba, is only a five-minute shuttle ride away. In the morning, we travel to Santa Maria. We dine on lobster, air-foamed tea and delicious desserts before connecting to WiFi in the open, circular lobby of Melia Cayo Santa Maria. Comfy chairs pepper the lobby for guests to lounge on. 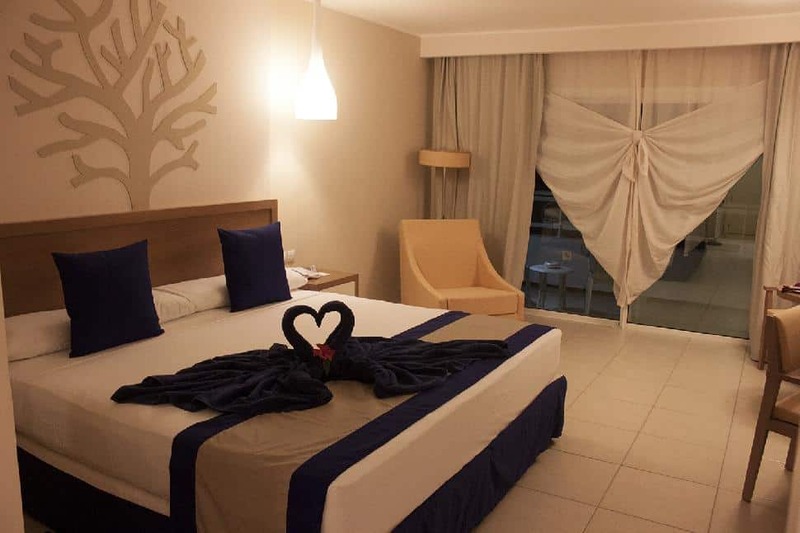 This Melia hotel is known for having one of the best spas on the island and access to a nearby shopping centre. They'll be reopening for guests November 1st. 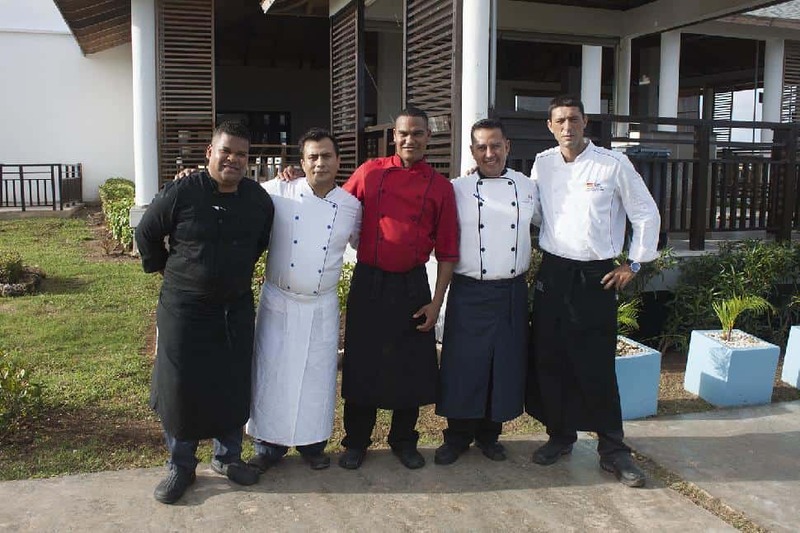 With 915 rooms, Melia Las Dunas is popular for its adult-only area, seven a-la-carte restaurants and aesthetics designed after the history of the sugar cane plantations. Workers are busy planting gardens and cleaning as we tour the property. There are five types of guest rooms, which are all receiving fresh coats of paint while tourists are away. New AC will be installed in the restaurants. The sales manager explains that they plan to invite guests back November 1st. It starts to pour rain as we leave. The cascading water is just a small glimpse of what they experienced during Irma. But the weather doesn’t drown their smiles: instead, they start dancing, gleefully pulling us into a conga line. 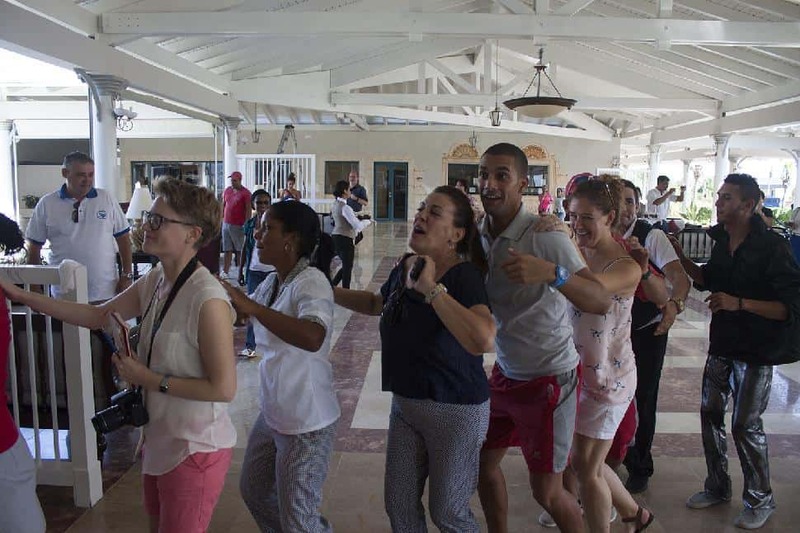 It's clear that the Cuban spirit doesn't break as easily as roofs and windows. We spend our second night at the most gorgeous resort I’ve ever seen. With 500-some rooms and 30-ish suites, it’s the perfect size for a romantic getaway or an all-you-can-imbibe trip. Rooms face the ocean and surround the pool, where a DJ blasts party music as foam bubbles spray into the air. But the best part is the service: we each have our own personal butler, who checks the lights in our room and explains how everything works. I feel profusely spoiled and taken care of, which is exactly how you want to feel in an all-inclusive. Two years ago, my mom and I stayed at Melia Marina in Varadero. It’s strange to be back, especially because it looks exactly the same as it did back then. 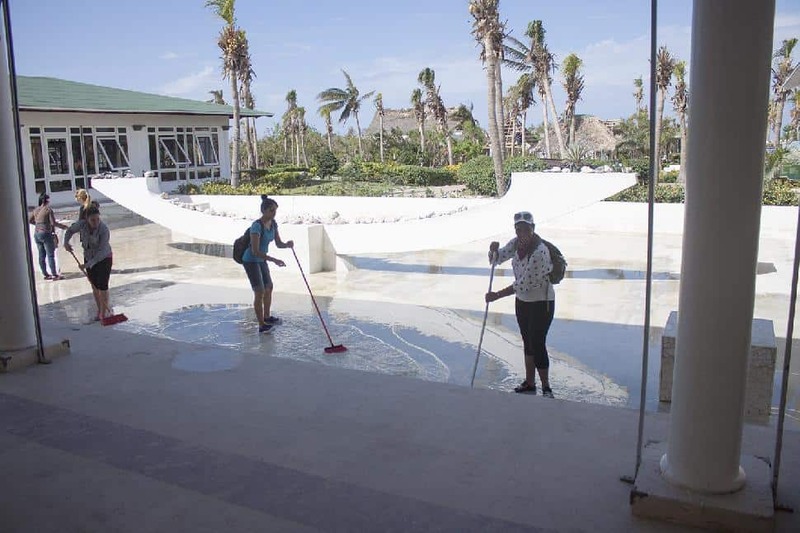 The resort manager tells me that they only suffered minor damage from the hurricane, such as loose roof tiles and water marks. They never had to close and are looking forward to welcoming Canadian travellers back for the high season. One of the unique features of Melia Marina is the European-style condos. 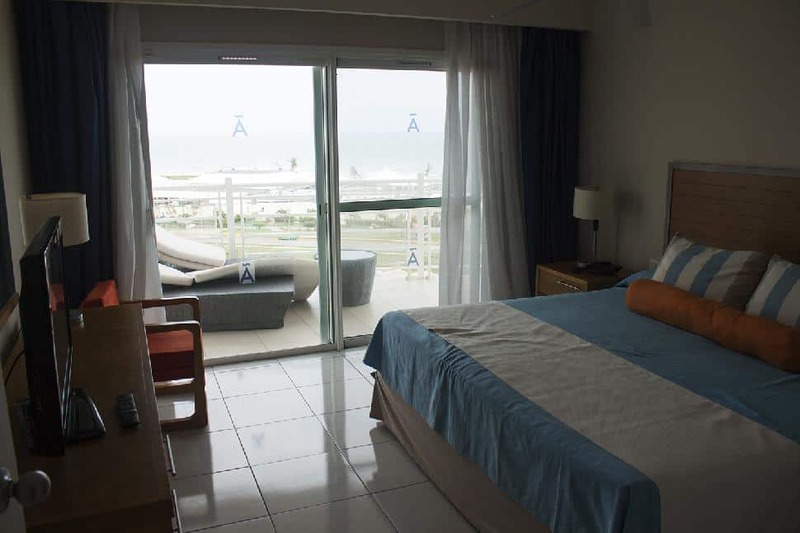 For travellers not intrigued by the all-inclusive experience, these gorgeous, self-sufficient apartments have kitchens, living rooms and separate bedrooms. 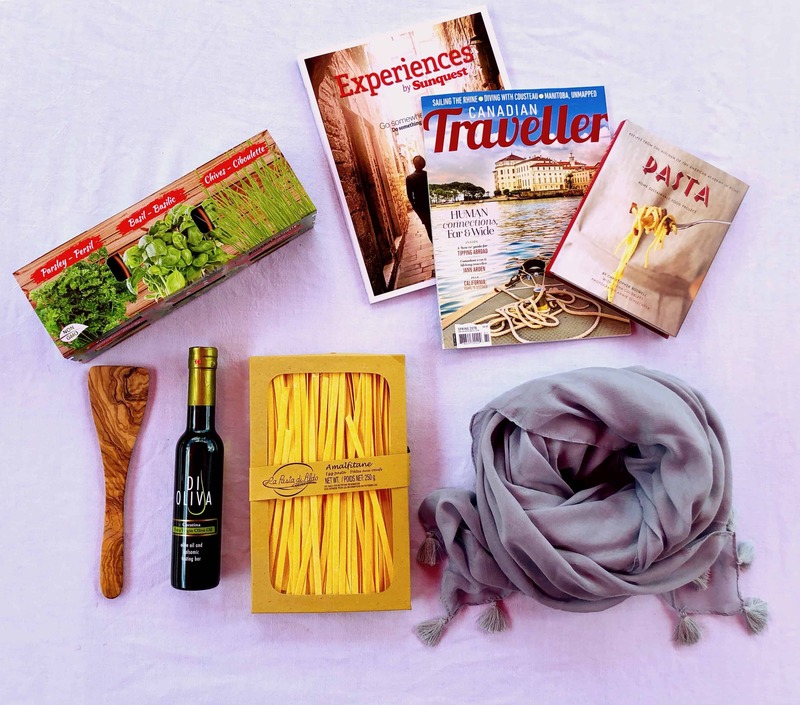 There is a small shopping centre built for resort guests, but those staying here should really venture into the city and dine where the locals do for an authentic cultural experience. 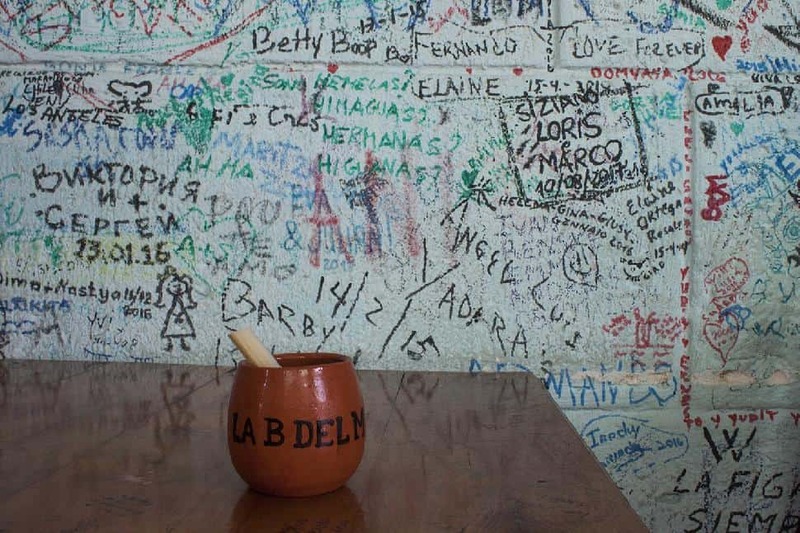 If you’re looking for exceptional traditional Cuban drinks, food and entertainment, you can’t miss La Bodeguita del Medio. This establishment is designed after the original bar in Havana, where Hemingway drank mojitos and crafted incredible sentences. 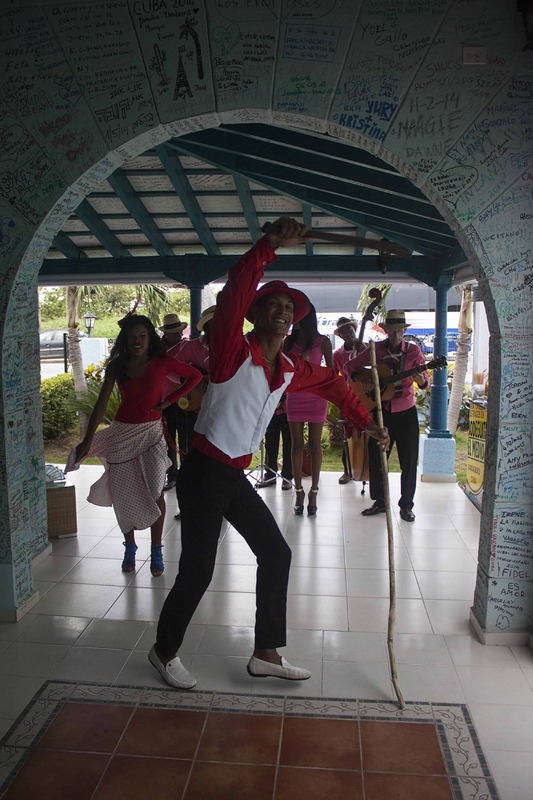 We’re greeted with dancing, music and canchanchara, a Cuban drink made with raw sugar cane, rum, lime juice and honey. 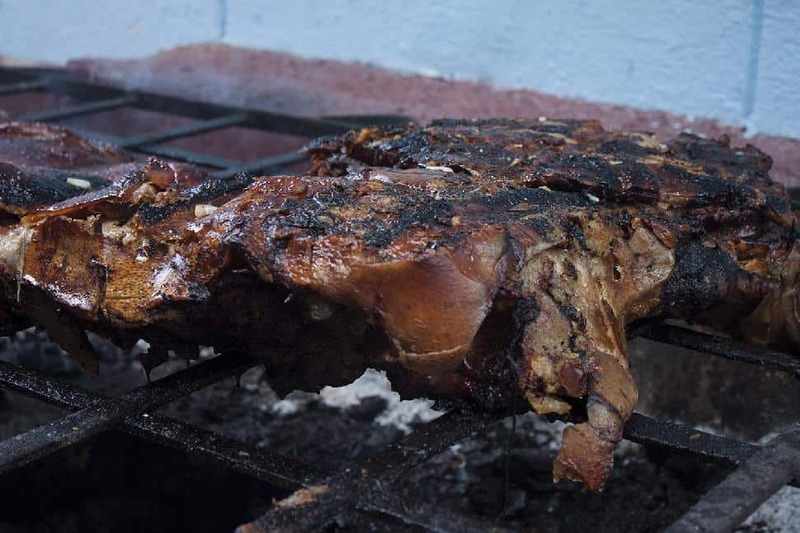 The chefs have been slow-roasting a pig over coals since 4 a.m. It’s 2:30 p.m. now, and we’re starving. Our first course is an incredible soup called ajiaco. It’s made with corn, pork and a salty yellow broth. Next, we’re served salad and roast vegetables including yucca root and sweet potato. We combine pig skin with tamales, a smooth mixture of masa flour and ground sweet corn with a texture like mashed potatoes. It evens out the greasiness in the skin. We dine on pork and mojitos until our bellies burst. Hand-ground coffee and desserts arrive next, followed by Havana Club rum and cigars. Dancers and musicians follow us out onto the streets, throwing flower petals into the sparse sprinkling of rain. It’s an event of pure, unfiltered joy. After so much devastation, it’s obvious that reopening the resorts will be a respite for the local people who are keen to return to work. 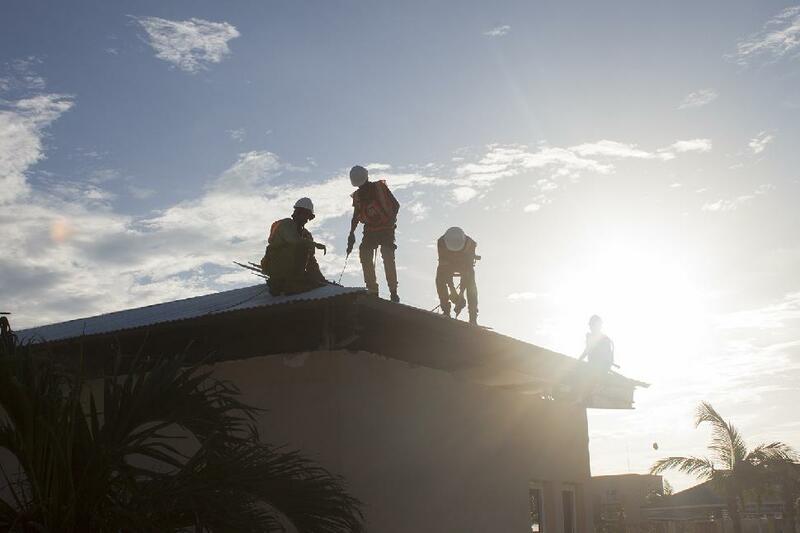 “During the rebuilding stage, volunteers painted and cleared wreckage, allowing construction workers to focus on rebuilding.” This is how they were able to accomplish so much so fast, and how, when I arrived, there were minimal signs that a hurricane had swept through at all. 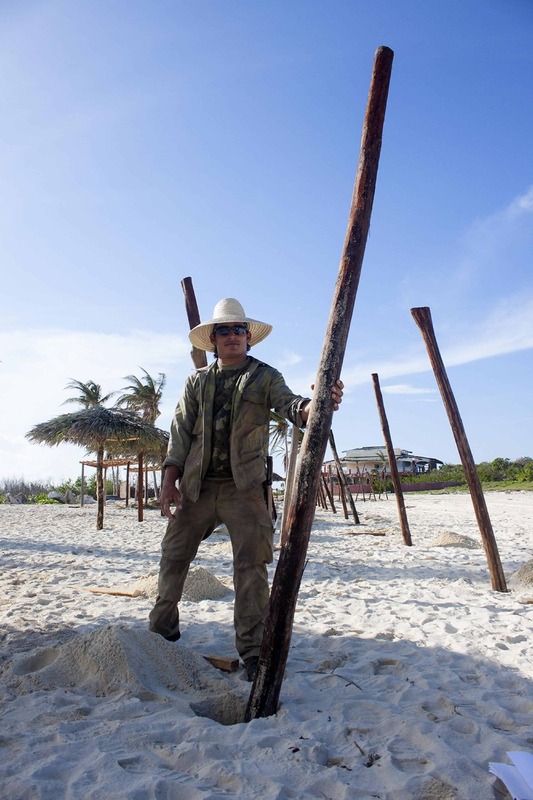 A total of 10,000 Cubans and internationals worked 24 hours a day to get the resorts ready to reopen November 1st and 15th. 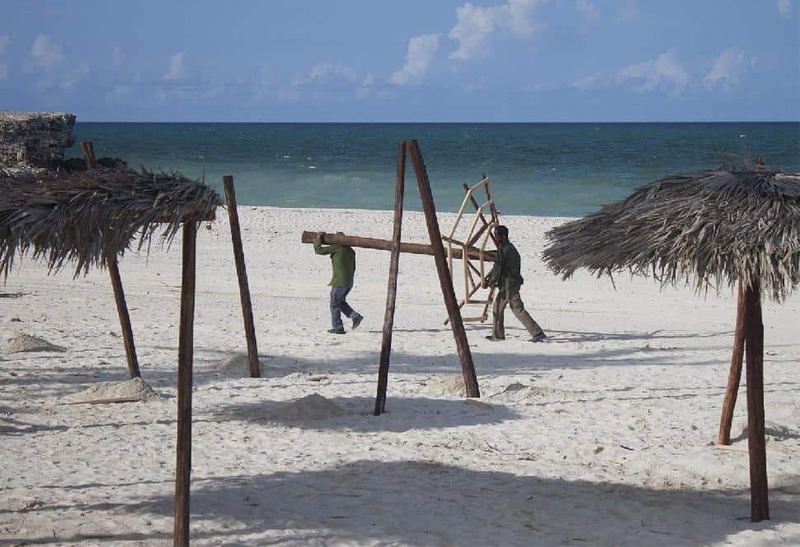 There are still hundreds of workers at every affected resort applying the finishing touches, such as building umbrellas for the beach and laying new tiles for the roofs. Cuba doesn’t need your humanitarian help or your donated supplies. They need your business. They need your tourist dollars and your tips. They need you to lie on the beach and drink endless mojitos. I’m pretty sure you can do that for them. 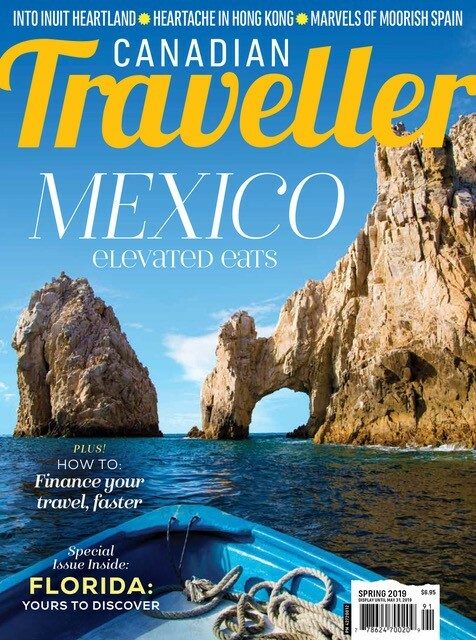 Air Transat will be resuming service to Santa Clara November 11th and Cayo Coco November 15th. 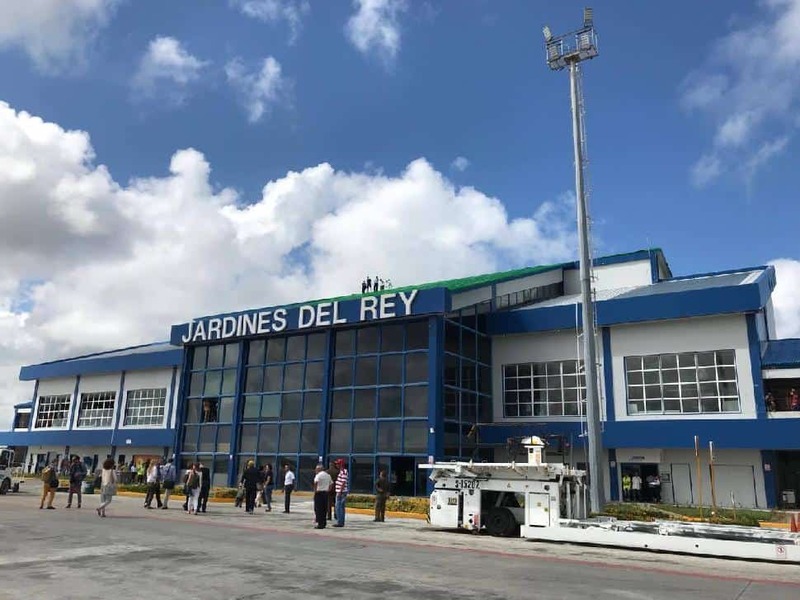 They are currently running regular flights to Varadero and Holguin. *This press trip was provided by Air Transat; all opinions are my own. You're engaged, congrats! Now where in the world do you get married?